Suspended Alabama Chief Justice Roy Moore is appealing his suspension from the bench. Moore's attorney says in a brief filed yesterday a judicial discipline panel exceeded its authority by suspending Moore for the remainder of his term. It requires a unanimous vote to remove a judge from office. Moore argues the lengthy suspension is a "de facto removal" without the required unanimous vote. The Alabama Court of the Judiciary ruled in September that Moore violated judicial ethics. Moore in January sent probate judges an order telling them a state court order to refuse marriage licenses to gay couples remained in "full force and effect." 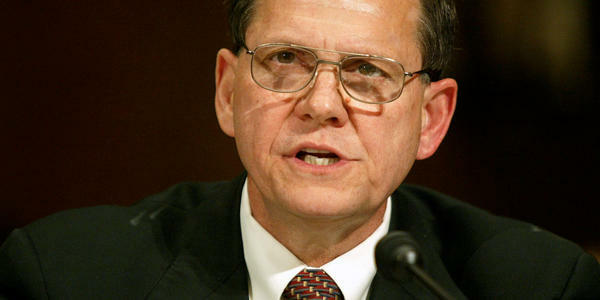 Moore's order came six months after the U.S. Supreme Court ruled gays and lesbians have a fundamental right to marry.